Our comprehensive Debt Analysis System goes beyond the typical questionnaire provided through a debt counseling service or a bankruptcy attorney. We look at a variety of factors including debt, income, family situation, age to retirement and goals before refining your best debt solution. This in depth approach is designed to not only to reduce your debt and interest payments to creditors, but to keep you on track toward financial stability and savings. Several of our clients who come in seeking bankruptcy counsel are surprised to learn that bankruptcy may not be the best course of action in their circumstance. We use every available legal strategy to apply federal and state laws in your favor so you can Start Fresh. Garnishments can take 25% of your paycheck creating a landslide of problems. 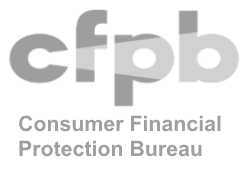 Stop wage garnishment in its tracks. Get help with pending judgments, creditor demand letters and bank levies. Regain control of your financial life. Get the protection you need. Drowning in auto debt? Stop your car repossession and qualify for a federal auto debt restructuring. You may be able to reduce your auto loan interest rate to 5% and eliminate negative equity. Call us today to learn your rights and get the help you need. Medical bills, Credit Card payments or Student Loans weighing you down? Can’t seem to get ahead? We have answers to deal with debts through debt elimination and repayments plans – without giving up your legal protection. Behind on your mortgage payments? Avoid foreclosure at all costs. We have solutions your bank and realtor won’t tell you. Get expert answers and the straight story on your foreclosure questions. Was recommended by another family member and even though we thought this was the worst case scenario, Ryan took the time to explain everything so we could understand and make the best decision for us. Start Fresh Utah has changed my life. They did such a wonderful job with my case. My husband and I have been very thankful that they came into our lives at the perfect time and helped us out. Craig and the Start Fresh Utah staff have helped my wife and I greatly! My case was very complicated. I felt hopeless! They’ve worked hard to save our financial future and to help set us on a the right track. 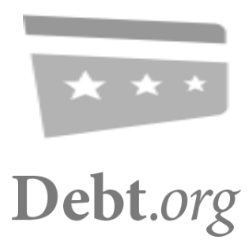 How Can We Help with Debt? Credit Card debt can be overwhelming. The average consumer has nearly $10,000 dollars in credit card debt with interest charges over 15%. Falling behind on credit card debt can crush your credit score and seriously pinch your monthly budget. Credit card debt collectors are very aggressive and can make your life miserable. We can help you control, and even silence, the debt collectors. If you are in the difficult position of having your car threatened to be repossessed or it has just been towed away, we can help. If your car has been hooked, you can still get it back; but, you must act quickly. Generally, you must take serious action or your car will be sold at auction after 10 days from the day it was towed. Call right away to get some helpful coaching regarding dealing with over aggressive tow drivers. Know your rights. Foreclosure of your home can be stopped. There are several steps you can take to keep your home from foreclosure, even if a sale is only a few days away. The more time we have to evaluate your situation, the better for you. Whether you have just fallen behind on your mortgage payments or are only days from a sheriff’s sale, there are options you should consider. We are available now to help. A wage garnishment can be devastating. You can stop an active wage garnishment or avoid a pending garnishment with the right debt relief tools. You need to move quickly as each delay allows the garnishment to continue. Start Fresh Utah can show you which strategy might work for you. Budgeting! Urgh, what a hassle! Maybe so, but it is your best tool to know what is happening with your money every month. A budget can help you control your spending habits and set aside that all important savings. Start Fresh Utah works with its clients to understand the value of budgeting and gets them the tools they need to succeed. Bankruptcy is your most powerful weapon against debt problems. It can be used to put you back in control of your life and buy you the time needed to get back on track. 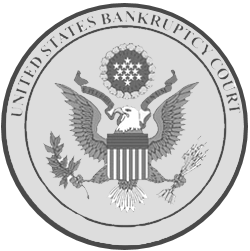 Of course, bankruptcy is a legal proceeding that should be directed by a competent attorney, skilled in bankruptcy. Let’s have a conversation; maybe bankruptcy is your best option. Our experts work to reduce or eliminate your immediate debt crisis Together we design a long term solution for your financial stability and success. Are tired of working and not having any savings to show for it? Have garnishments started or are they looming? Are you considering a pay day loan? There is a better way and we know the path. Start Your Better Day. Start Fresh Utah. 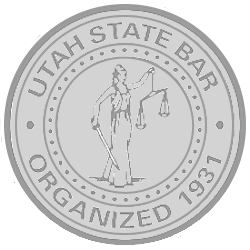 Start Fresh Utah Debt Relief. Copyright: © 2019. All rights reserved.